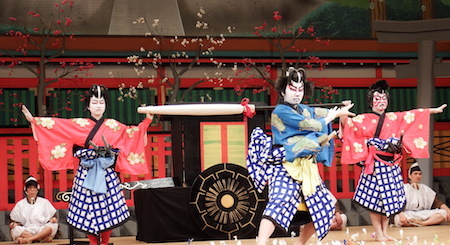 Thursday, September 8 at 6:30 p.m.
Gifu Prefecture, tucked in the heartland of central Japan, is a place of stunning natural surroundings, pristine waters, and time-honored traditions. From the thatched-roof folk houses of Shirakawa-go, a UNESCO World Heritage Site, to hon-minoshi, a type of washi paper that has been registered to UNESCO’s Intangible Cultural Heritage list, Gifu is steeped in cultural treasures. Artist Isamu Noguchi’s Akari light sculptures were inspired by Mino washi lanterns. Japanese diplomat Chiune Sugihara, a humanitarian who made a selfless decision, despite orders of his own government, to issue transit visas to Jewish refugees during the Holocaust and saved many lives, hails from southern Gifu. Yours truly will moderate this talk, at which select speakers will introduce the many charms of Gifu Prefecture, including a special presentation on Sugihara by esteemed scholar Dr. Sylvia W. Smoller, who is among the thousands of “Sugihara Survivors.” The program will also feature a special demonstration of jikabuki, a regional form of kabuki theater performed in rural parts of Japan. At the tasting reception following the program, guests will sample Gifu delicacies rarely found in the U.S., including premium wagyu Hida beef, which makes its U.S. debut, and a variety of fine sakes brewed with Gifu’s famously pure waters. This talk is part of a series through which Japan Society guests can discover Gifu’s enchanting culture and traditions. There will also be an exhibition of beautiful Gifu-made pottery and handicrafts and a sold-out chigiri-e papermaking workshop.